The cumulus clouds part, that big yellow type pushes towards the screen, and a heavenly choir announces a refrain known throughout the world:“The Simpsons”. 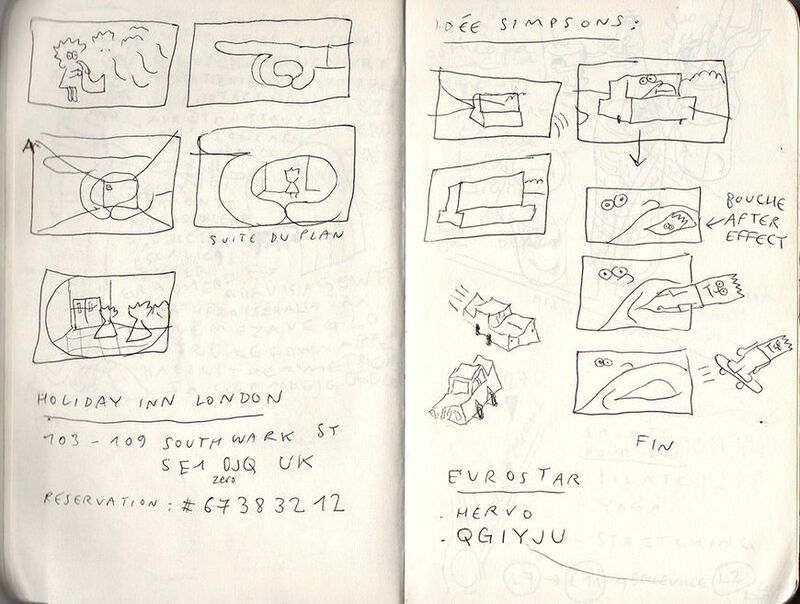 The opening moments of WEIRD SIMPSONS VHS are familiar territory for any fan of The Simpsons, until they’re not. 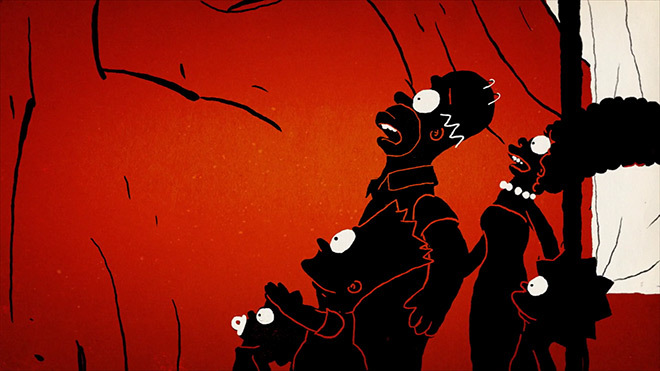 French animator Yoann Hervo sours the fanfare to set the mood immediately, taking a page out of David Fincher’s playbook, using a surreal cartooning style and a worn-out video cassette aesthetic to twist the Simpson family and the town of Springfield into something that is at once bizarre, funny, and deeply unpleasant. As a reclusive superfan looks on, Bart hammers at a chalkboard like a deranged cymbal-banging monkey, an array of Lisas destroy Mr. Largo’s mind with a symphony of saxamaphones, an impossibly rotund Homer and his car become one on the commute home, and Marge finally lets Maggie take the wheel with predictable results. Matt Groening’s face is ever-present, eggplants hide in plain sight. This was recognizable at some point, before it was recorded over a precious home video and played one too many times. The sequence ends with a desolate take on the famed “couch gag.” Often used to fill time when an episode runs short and insert one last laugh, here the empty living room only fills the viewer with dread and confusion. 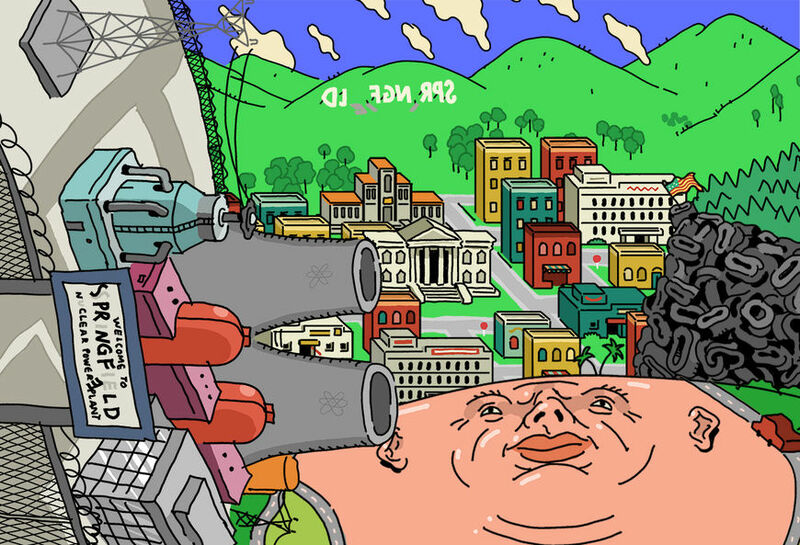 With WEIRD SIMPSONS VHS Hervo makes a name for himself and adds it to a growing list of artists and filmmakers who’ve reimagined the opening sequence of the longest-running prime-time animated series in the United States (both officially and unofficially), all putting their own distinct – and oft-times disturbing – spin on America’s favourite animated family. A discussion with Character Designer and Animator YOANN HERVO and Composer VALENTIN DECLOUX. Give us some background on yourself and the work you do. Yoann: After passing a baccalaureate in applied arts in Brittany, I was accepted to L’École des Gobelins, in the animated filmmaking program in Paris. 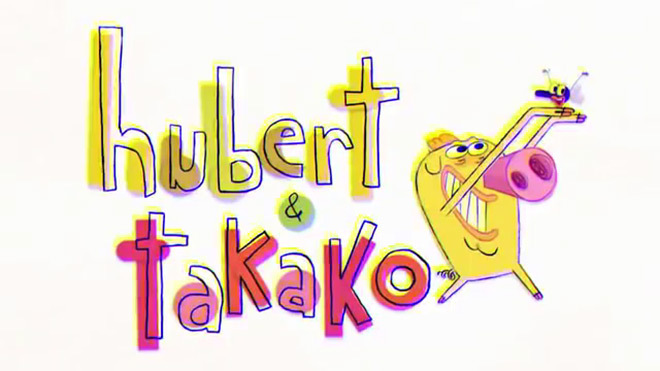 Upon graduation, I had the opportunity to be a character designer on the french show Hubert & Takako by Hugo Gittard at Xilam Studio. 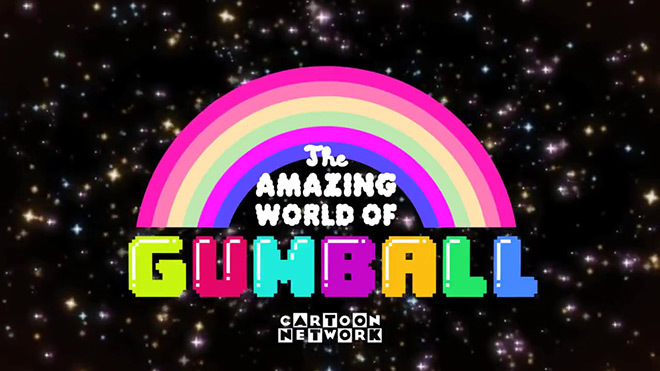 A few contracts later, I‘m still a character designer, now on Amazing World of Gumball at Cartoon Network. I also make animated films in my bedroom, in the hope of becoming a filmmaker. What’s your history with The Simpsons? Have you been watching the recent seasons? 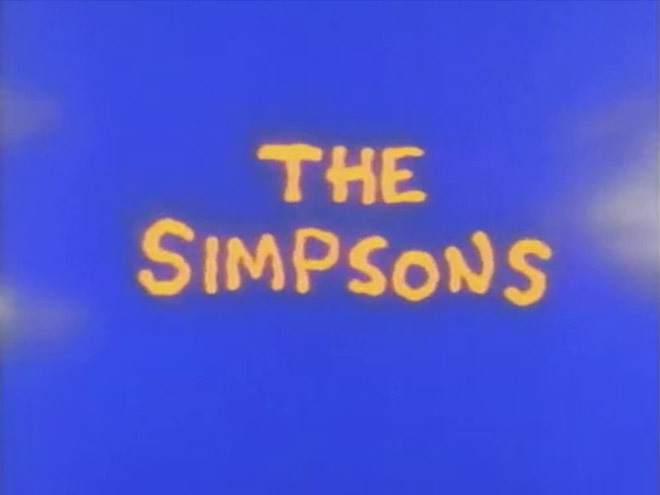 Yoann: Like everyone born in the 1980s, I watched The Simpsons when I was a kid. I’ve been a really big fan for a long time, however I have not found time to watch the new seasons! So where did this project come from? It was originally a little bigger in scope, correct? Originally, the project was launched by James Hatley, Charles Huettner and Ivan Dixon. It was meant to be a compilation of short stories set in the Simpsons universe made by different animators, a bit like the Halloween episodes. It was supposed to be online on 17th December 2014 – the 25th anniversary of the first Simpsons episode, which was produced on 17th December 1989. I have no idea who else was going to participate. I want to thank them once again – I have been very fortunate they let me immerse myself in the Simpsons universe, and direct this opening the way I wanted to. There’s a great movement to the animation. Where did that come from? What are some of your influences? Yoann: I really like the rubber hose animation, the cartoons from Fleischer Studios or the first Merrie Melodies. The animation keeps a regular beat and limp movements, it’s very specific, from the 1930s and 1940s. Paul Driessen’s films are very great too! He’s a very good animator! Rubber hose animation was the first animation style that became standardized in the American animation industry. Defining features are a freeform movement of characters' limbs; arms and legs are typically simple, flowing curves without articulation (such as hinged wrists or elbows). See Felix the Cat or The Ren & Stimpy Show for examples. 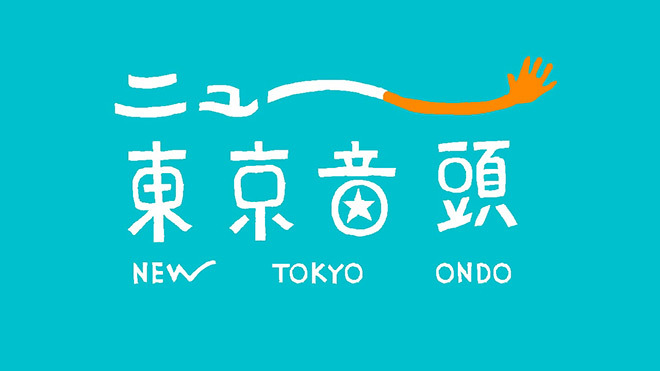 New Tokyo Ondo by Misaki Uwabo had a big effect on me as well! I’m really keen on uninhibited animation. Where did you start with this project? Sketches? Storyboards? Yoann: There was a time constraint – the film couldn’t exceed two minutes. I didn’t know what I could tell with just a couple of minutes but I quickly found a very original idea: remake the opening in my own way. Lower risk than writing a script. I started to re-edit the first Simpsons opening. I sped up the beat, changed the order of sequences, put some shots backwards. It was nonsense! I really wanted to make something hysterical and dumb. One minute of madness until the headache. I thought the opening should have a mixed-media appearance – 3D and 2D – and inspired by the movies of Etienne. I met him at L’École des Gobelins. He made smart and sophisticated films with After Effects. I think he recently moved to Cancún! I’m serious. When I had free time, I thought about the way I could reinterpret the shots of the original opening. The dumber, the better! I scribbled ideas in my notebook – some of them were accompanied by very basic drawings. How did you start to animate? What was your process? Then I painted the backgrounds and the characters. I tried to be faithful as possible to the 1989 version – grass green khaki and sky primary blue. It’s quite ugly. Finally, I sent all those elements to Hugo Moreno, who was in charge of compositing and editing. I’m worthless in that part! When we had an overview of the opening, we realized that the art direction wasn’t working. I mean, it was cheap and not really assumed. Not everyone can be Etienne! I drew everything which wasn’t in 2D – a lot of work. It was very exciting when you see everything work together. I’m pleased with the “back home” shot, where the whole family gathers. I had to be very precise in the timing of each character. The previous shot is one of my favorites too, the real baby, which was a wonderful idea from Hugo! It happens sometimes when you re-record on a family videotape, it’s a bit disturbing when you see [something like] the birth of a baby in the middle of an action scene from Red Heat or The Mummy 3. How was the VHS effect achieved? 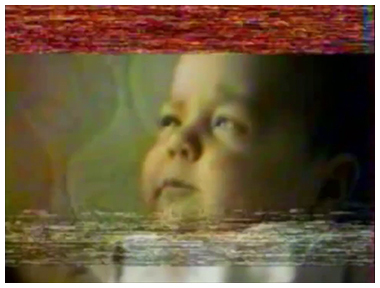 Yoann: The aim of the VHS effect was to put back the 1989 context while giving a specific identity to the opening. And also to avoid the smooth vectorial line from Flash, which is not very elegant. I do really prefer imperfect and irregular lines and "dirty" rendering. 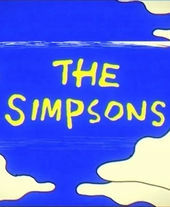 The music is reminiscent of the Simpsons theme song heard in various early video games based on the show. What was the process of creating this version of the theme? Valentin: After Yoann viewed and listened to my work on the After Bit and Cover educational webseries about music in video games, he approached me to work together on the Simpsons project. My taste for extreme musical détournement and video game music captivated him. I started to work on the Danny Elfman theme without restraining myself, and letting the video game inspiration speak for itself. It was a real challenge to match such a rigorous and sophisticated theme with the moving picture. So I had to respect the musical form – in a film that didn’t respect any forms! It was fun to do! I listened some electroacoustic tunes, like Stockhausen’s “Hymnen” or “Revolution 9” by the Beatles and “Several Species of Small Furry Animals Gathered together in a Cave and Grooving with a Pict” by Pink Floyd, which helped set the mood. How big was the production team? Who worked with you on this? Yoann: We were a team of four guys. I directed it, designed it, animated it. Hugo Moreno, a very good friend from Gobelins, did the compositing and the editing. He has been really great and has always believed in the project. I lost hope several times. Without him, this opening would have been a disaster. Thanks Hugo! Moreno introduced me to Florian Calmer, who worked with him on Déjeuner sur l’Herbe 2000. He was very understanding and determined, It was a pleasure to work with Florian! And Valentin, as he said before, I watched his shows on Internet. I really like his musical approach, so I called him, and he said yes! He’s full of ideas and takes the initiative, in addition to having a great sense of humour! The collaboration worked perfectly. 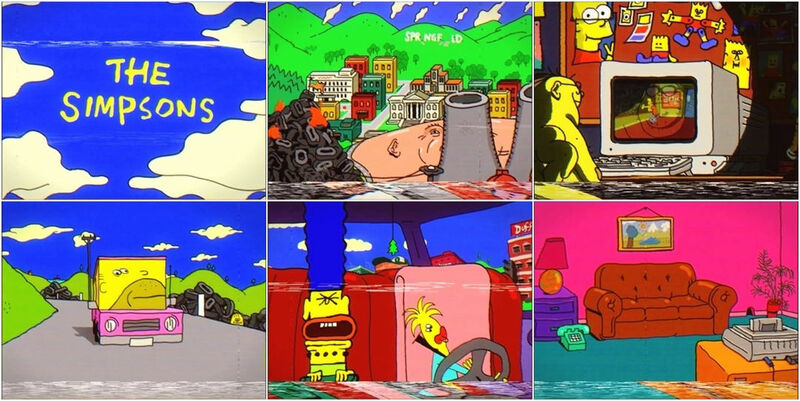 The Simpsons has been changing its opening quite a bit in the past few years, with artists like Banksy, Guillermo del Toro, Don Hertzfeldt, John Kricfalusi, and Sylvain Chomet all contributing their own versions of the opening sequence. What influence, if any, did this have on you? Yoann: They all made really incredible openings. I didn’t refer to these artists for making my own, my only reference was the first episode opening of the show, but I particularly like the journey into Homer’s brain by Michal Socha. It’s very beautiful and impressive. I like the organic lines and the monochrome colours – it’s very effective. I’m fascinated by visceral trips. I like the mix of gross and psychedelia, and everything made from pork guts! I hope they’ll do a photorealistic CGI opening – and maybe a three-hour movie in this style! Yoann: The backgrounds were made with Adobe Photoshop. I animated with Adobe Flash Pro. And we put it all together with Adobe After Effects. That software is very rich and it’s easy to get lost – again, not everyone can be Etienne. Have you heard from anyone at The Simpsons yet? Yoann: You mean, if someone from Fox called me? Not yet! [laughs] I‘m not sure they liked it. This opening is not in the tone of the show at all. I don’t expect anything from them, selling this video wasn’t my aim. I didn’t anticipate such a craze for this creepy opening, it was beyond me; but I’m very glad that a lot of people liked it. It’s a real galvanizer! 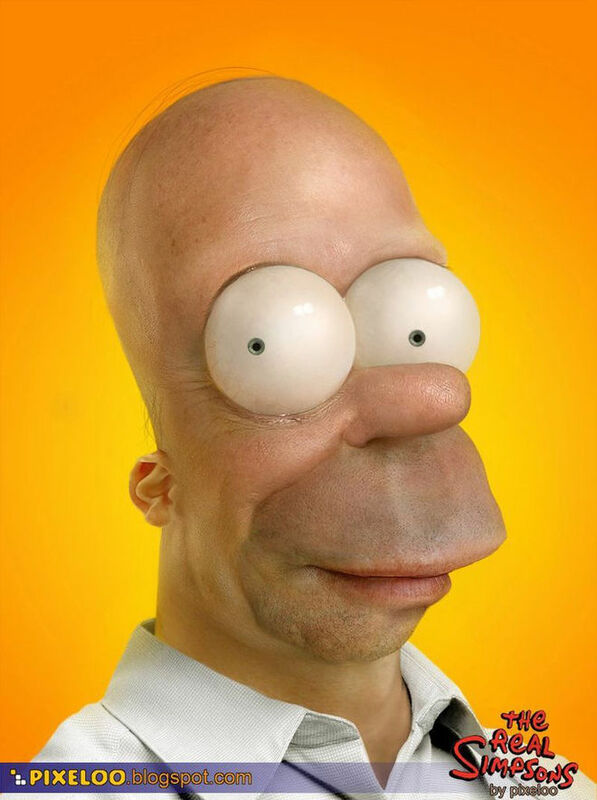 What’s your favourite episode of The Simpsons? Yoann: It’s not easy to choose from 575 episodes, but I would say “Don't Fear the Roofer,” season 16. The plot is good, it talks about solitude and schizophrenia, it’s hilarious! There is a good gag with Stephen Hawking at the end of the episode! Yoann: The Holy Grail intro by Monty Python stays in my memory. I discovered absurd humour with that film, it’s a masterpiece. I also like The Man on the Moon opening by Miloš Forman. The movie begins with ending credits imposed by Andy Kaufman, performed by Jim Carrey, it’s long and awkward. I found that incredible the first time I watched it. Man on the Moon (1999) opening, designed by Balsmeyer & Everett, Inc. I recommend the Weird Science opening by Alexandre Louvenaz which is simply genius. I recommend that you do not watch the Life Goes On opening, which is like opening the Gates of Hell – to the worst Beatles song! What excites you outside of animation? Yoann: Making films and crème fraîche.